China’s largest thin-film solar cell producer, Hanergy Holding Group, announced the signing of a strategic deal with a bike-sharing company MTbike. Under the partnership, Hanergy will incorporate thin-film solar panels into the body of over ten million bicycles in the next three years to fulfill the electricity requirement of their smart lock systems. The overall value of the agreement will reach over 300 million RMB. Apart from MTbike, Hanergy previously also signed similar partnership with 99 Bicycle and Mobike, two other key industry players. Mobile solar energy applied to the sharing economy has huge potential to transform the transportation industry and many others. With Hanergy's global leading thin-film technology and world-class R&D capability, we are well-positioned to provide convenient and efficient mobile energy solutions to China's rapidly growing bike-sharing industry. Hanergy also worked with other key players in addition to its cooperation with MTbike. 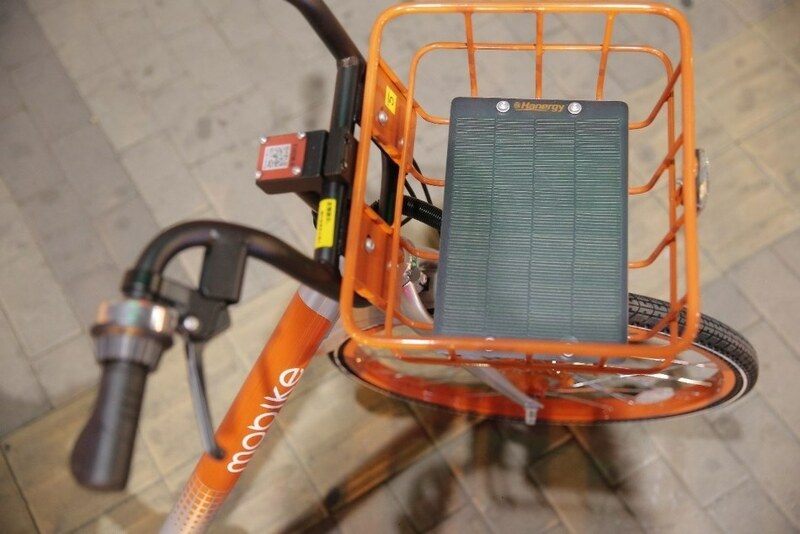 Under the agreement with Mobike, besides supplying high-efficiency thin-film solar panels, Hanergy and Mobike will also set up a joint lab to develop "internet of energy" and mobile energy technologies. With 99 Bicycle, Hanergy will help the company to generate over 5 million bikes with employing Hanergy panels over the succeeding two years. The thin-film solar panels developed by Hanergy are flexible, light, thin, and durable with higher conversion rates compared with crystalline silicon solar cells, which makes them the perfect power source for shared bikes and other mobile energy applications. Apart from offering electricity for the smart locks, the panels will also be the power source for MTbike's other technologies, such as smart motor locks and handlebars fitted in the bikes in the future. To meet the specific requirements of shared bikes, such as long-time exposure to open air and high-frequency usage, Hanergy exclusively designed special thin-film panels which can operate as usual under extreme situations including heavy vibrations from crashes and rough roads, as well as heavy rain. The panels used for the shared bikes have passed "gunshot tests" carried out in Hanergy's laboratory in the U.S., in which the panels are shot by rifles three times to make sure of their durability. Hanergy's flexible, light weight, thin-film solar panels are well suited to produce power for an extensive range of transportation applications. Hanergy Thin Film Power signed an agreement with Audi to mutually introduce integrated thin-film solar cells in the panoramic roofs of Audi models. The new solution will extend endurance mileage by feeding solar energy into the internal vehicle electrical system - including air conditioning and other electrical appliances. In accordance with the 2016 Global New Energy Development Report issued by China's All Federation of Industrial and Commercial's New Energy Commerce Chamber, the overall value of the global mobile energy market could reach 7.4 trillion RMB by 2020. Hanergy's most important thin-film solar products are free from anti-dumping duties, and are well located to support promising mobile energy applications in China and the world.